Together we will explore your Federal and Federal contractor employment goals and provide you with a road map for making your entire application THE BEST it can be. The majority of Federal job and Federal contractor job seekers struggle with identifying the right jobs to pursue; writing the Federal and Federal contractor resume; understanding the Federal and Federal contractor application process; mastering the Federal and Federal contractor interview; and negotiating salary. We understand these challenges and will assist you with all phases of the process. Most clients opt for our Signature Federal Coaching Package, which includes target job search assistance; Federal or Federal contractor resume writing; interview preparation; and salary negotiation. The Signature Federal Coaching Package allows us to partner with you through every phase of the entire process, serving as your Federal job coach for the next 6 months! Select this link to book an appointment for a FREE consultation. Once you make the decision to partner with us, we will help you identify the best Federal and Federal contractor jobs for your background and skills. This is a very important step. Even if you are qualified (sometimes called “minimally qualified”), you may not be found to be BEST qualified and your application will not move forward to the selection official (hiring manager). Many people make the fatal mistake of applying for jobs for which they are either minimally or not qualified, and their applications are not forwarded for consideration. Based on our insider knowledge of the Federal HR selection and hiring process, we will direct you to focus on those jobs for which you are best qualified — which significantly increases the likelihood of your application moving forward in the process. A Certified Federal Resume Writer will write your Federal resume to target those Federal jobs for which you are best qualified. It is extremely important to have a solid Federal resume that meets all Federal guidelines and gets the highest possible score from the Agency HR staff. Typically, Federal resumes are about five (5) pages long and include detail regarding your particular duties, responsibilities, results and accomplishments. We will remove private sector language that is NOT recognized by the Federal HR Specialist and replace it with Federal language and core competencies that ARE recognized and understood by Federal HR staff. Using core competencies developed by the Office of Personnel Management, we will “marry” the information the HR Specialists are looking for with your current and past job experiences. The result is a document that will look very different from others that are submitted and one that will grab the attention of the HR staff! A Certified Federal Resume Writer will write your Senior Executive Service (SES) Federal resume and write and/or edit your Senior Executive Service ECQs (Executive Core Qualifications). These documents are required by the Office of Personnel Management and are critical to your application package. Both must be well written and directly relate to the core competencies required by the Federal Government for Senior Executive Service applicants. Many agencies (96%) no longer require separate KSA (Knowledge, Skills and Abilities) essays / narratives. It is still your responsibility as the applicant to address the KSAs in the body of your resume. It is important not to overlook this step; your KSAs must be woven into your resume and they must be directly related to the skills desired by the agency. It is like a puzzle; all the pieces must fit together in order to move your application package forward to the hiring manager. We will ensure this important step is completed as part of the Federal resume writing phase of our partnership. Learn from a former GS-15 hiring manager how to ace the Federal interview using a fool-proof formula. Federal interviews are generally more competitive than others – usually consisting of a panel of three or more interviewers asking interview questions that are very challenging. Understand the reasoning behind the questions asked and learn how to “think on your feet” in a stressful situation. Assess where you are in your Federal sector and Federal contractor job search and get answers to some of your job search questions. 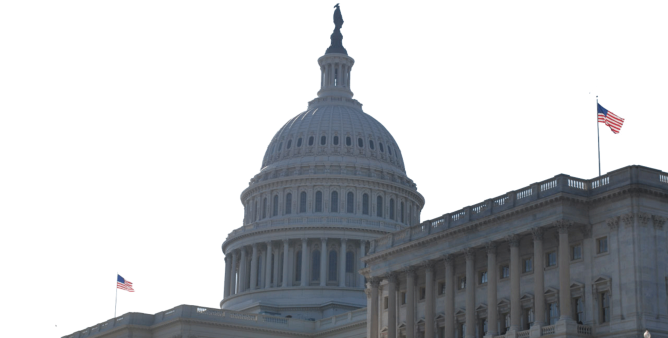 A Certified Federal Career Strategist who knows the Federal Government arena will guide you through the process of searching for and landing your Federal or Federal contractor job or promotion. Partnering with an expert can help accelerate the process and help you avoid the most common pitfalls as you pursue your career goals. This FREE seminar is targeted to those participants who need to understand the nuts and bolts of the Federal and Federal contractor job search process. Topics include: • Understanding the Federal and Federal contractor job road map; • Qualifying for Federal and Federal contractor jobs; • Reviewing Federal and Federal contractor vacancy announcements; • Understanding how Federal HR staff score your application; • Writing your Federal or Federal contractor resume. Seminar is led by Corliss Jackson, MPA, former GS-15 HR Manager with the Office of Personnel Management (OPM). To view a calendar of upcoming seminars, please visit our events page . BOOT CAMP - WRITE YOUR FEDERAL RESUME IN ONE DAY With the help of the Federal Job Results team, you will receive A List assistance and leave this experience with a wealth of knowledge, insight, and overwhelming sense of accomplishment as you draft your self-designed Federal resume. Your Federal dream job is just one day away! 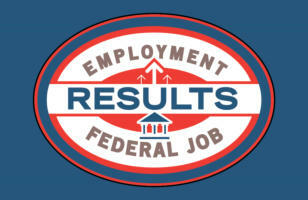 What you will accomplish at the Federal Resume Writing Boot Camp: • Identifying the best Federal jobs for your background; • Understanding the qualifications standards; • Communicating your Knowledge, Skills and Abilities (KSAs) to the Federal hiring team; • Documenting your accomplishments; • Writing your very own Federal resume! Boot Camp is offered in Washington, DC on a routine basis. CLICK HERE FOR BOOT CAMP REGISTRATION TAILORED GROUP TRAINING WORKSHOPS In-person facilitated workshops are available to maximize your personal investment in obtaining a Federal or Federal contractor job. Typical workshop topics include: • Understanding the Federal and Federal contractor job road map; • Qualifying for Federal and Federal contractor jobs; • Reviewing Federal and Federal contractor vacancy announcements; • Writing project success stories; • Writing your Federal or Federal contractor resume. SECURITY CLEARANCE: SF-85 & SF-86 ASSISTANCE * Once you have received your job offer for a position that requires a security clearance or public trust, you will be asked to complete an SF-86 or SF- 85. These forms will be used as part of your background investigation. The SF-86 is a very lengthy form that many people find intimidating and sometimes intrusive. The SF-85 is a shorter form, but it too can be daunting. They are often not completed properly which can cause a significant delay in the investigative process. You may find that it is a good good idea to meet with a consultant to ensure that your SF-85/86 is completed properly. We can assist you with the SF-85/86 data collection and application process. *Use of this service does not guarantee a positive adjudication nor receipt of a National Security Clearance. NEGOTIATING YOUR SALARY Many are unaware that when you join the Federal government for the first time it is the one and only time you can negotiate both your salary and your vacation leave. We will work with you to develop a strategy to present to the Federal HR staff to assist you in reaching for a higher salary and more vacation time. After all, who doesn’t want more time off? Using the most innovative and up-to-date techniques in the job search field, we will write your corporate resume to draw attention to your competencies. We will ensure that your resume is in one of the preferred HR formats, and that we highlight your most marketable skills. Optimize your LinkedIn profile with our insider’s tips and tricks. We will use our expertise to market your skills, develop your personal brand, and grab the attention of your target audience. We will partner with you to harness the power of Linked In so you can be successful in your job search. From the comfort of your home, view our on-line training webinars. We’ve brought together subject matter experts to share insider information and provide you with the knowledge you need to land that Federal or corporate sector job. Let FJR Academy help you break through the red, white and blue tape – and land your dream job! Select this link to view our webinars. WEBINARS (LIVE) This FREE webinar combines insider knowledge from OPM and learning specialist expertise to quickly de-mystify the Federal and Federal contractor job search process. Select this link to register for one of our upcoming webinars.